Proven Web's wide experience in web development means whatever your business, we can incorporate tools and features to make your site a success. 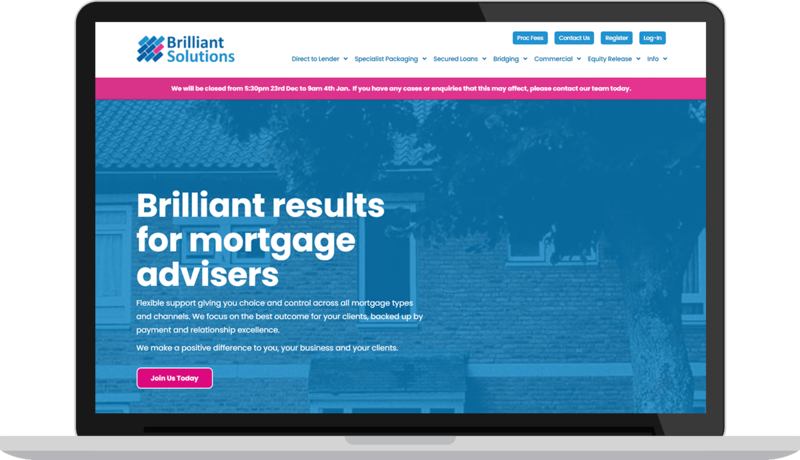 Below we take a look at two sites we built for a client in the world of finance and mortgages. Brilliant Solutions work in the field of mortgage packaging. They provide a crucial link between lenders and mortgage brokers. In a complex and highly regulated area of business, an easy-to-navigate website providing clear information to their B2B clients is essential. The site features a quick easy way that potential customers can leave their details to receive a phone call to discuss their requirements. Avoiding the need for lots of paperwork, the site allows new brokers who wish to sign up for Brilliant Solutions services to do so online via a secure application form. 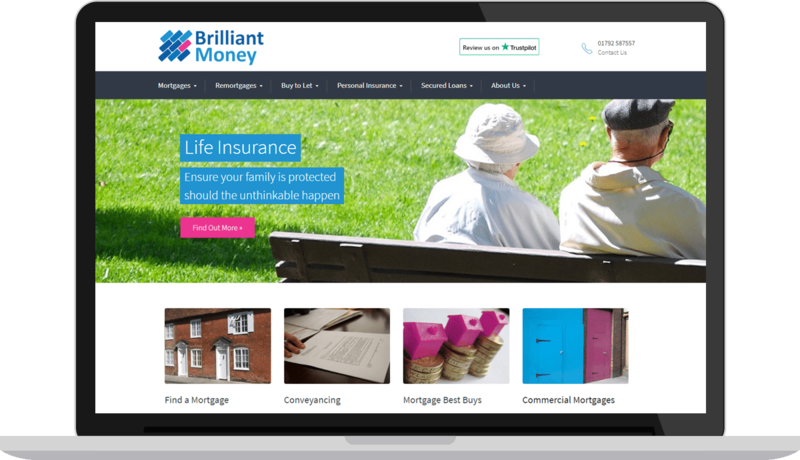 With a similar design and layout to that of its sister site, Brilliant Money is another company within the Brilliant Group, so shares a consistent identity to maximise brand recognition. However this site is targeted at consumers rather than brokers, and offers financial products such as insurance, secured loans and mortgages. Includes a tool homeowners and first time buyers can use to search for mortgage deals from different lenders. This is a third party search tool which is incorporated into the Brilliant Money website to provide an added-value benefit for their customers.